The new Quad II Classic Integrated Amplifier is a perfectly balanced and completely integrated amplifier system to resolve system matching and offer exceptional performance and value within a relatively compact and classically styled chassis. Performance, as you would expect from one of the most famous names in hi-fi, is nothing short of breathtaking. The 25watt-per-channel specified, belies their power and ability to drive even the most difficult loads. The remarkable output transformer design is characterized through its speed, agility and ability to convey the genuine passion of live performance. The rekindled interest in 2 channel analogue hi-fi has been remarkable to witness. The popularity of vinyl has grown steadily over the last 5 years and now represents a significant proportion amongst real music enthusiasts. 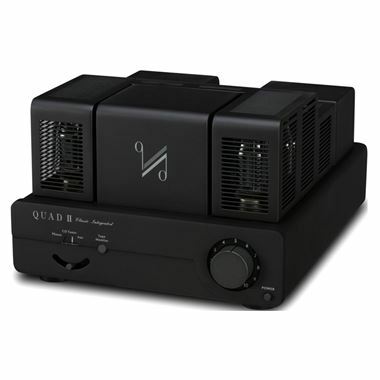 Quad has been at the forefront of this trend with its development of some of the world's most stunning amplifiers, loudspeakers and phono stages. Creating a compact audiophile integrated solution for LP and Vintage Hi-End Audio lovers while working in collaboration with one of the industry's esteemed legendary figures, Tim DeParavicini. Through his contemporary designs based on Quad's novel amplifier technology developed over half a century ago, our classic range of amplifier and speaker components represent far more than a nostalgic trip down memory lane. Each product represents as significant a design statement as their original counterparts.